I vouched that this is my favourite pie. 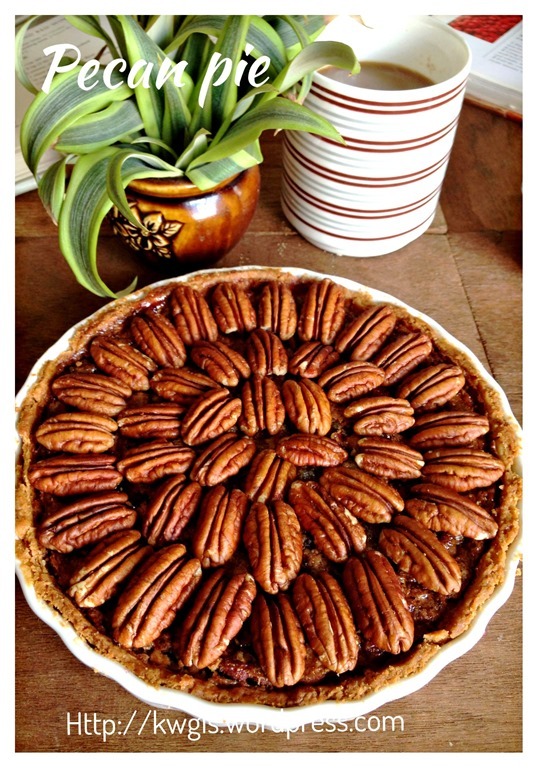 A pie that I can never get tired off. A pie that I have the urge to buy whenever I saw stores selling the pie. 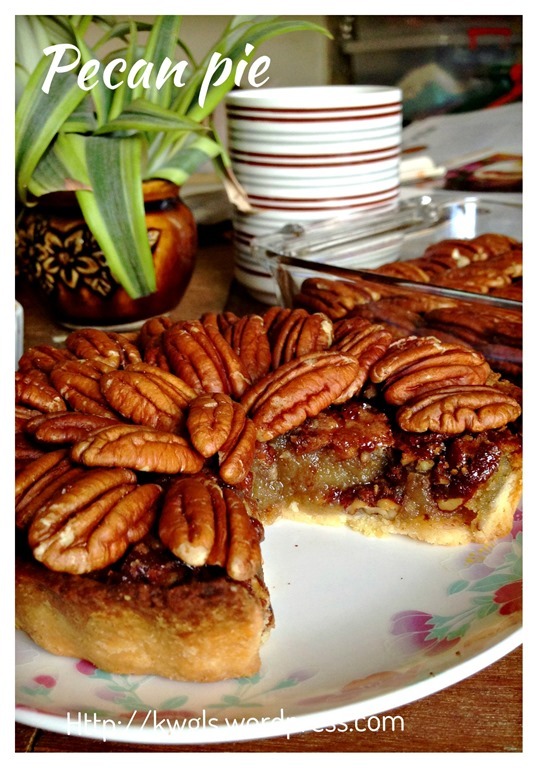 I love the pie for its sweetness and its nutty flavour…. 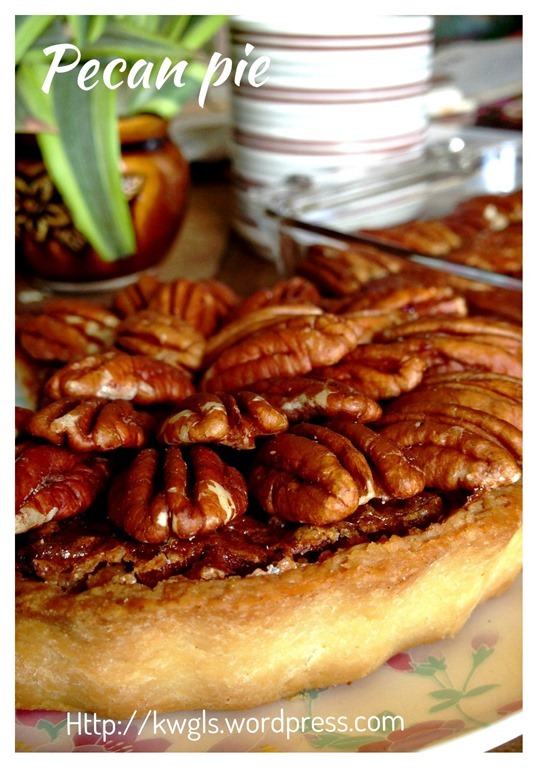 Though it is my favourite, I seldom purchased it as it can be a rather costly pie..
My friends generously gave me about 600 grams of pecan nuts hand carried from United States. 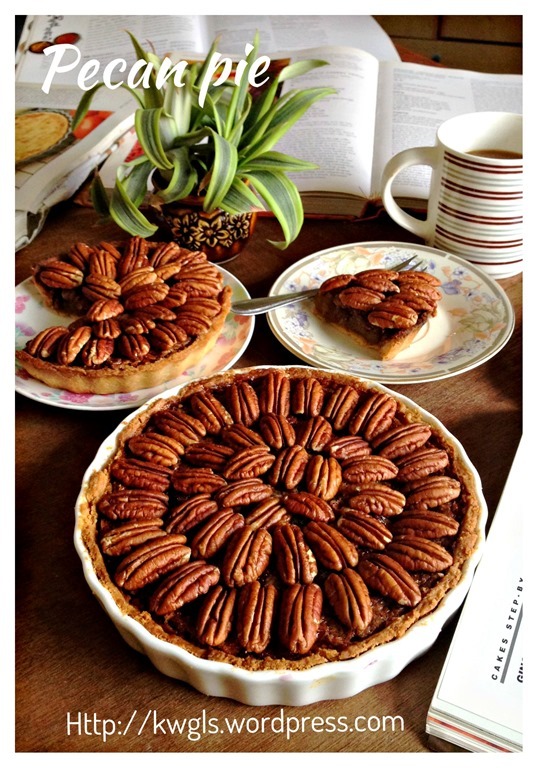 Since she had given me these much, i have to return her a favour by preparing some pecan pie. 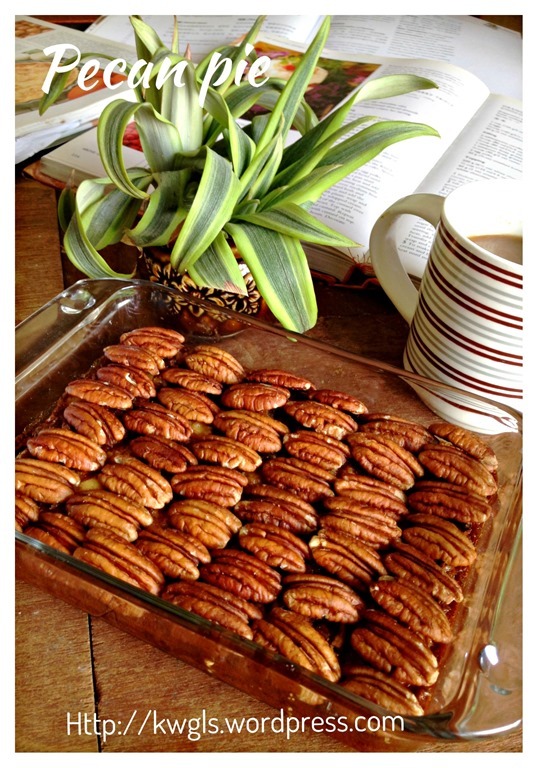 I search for a recipe and I found which is rather simple and fast. 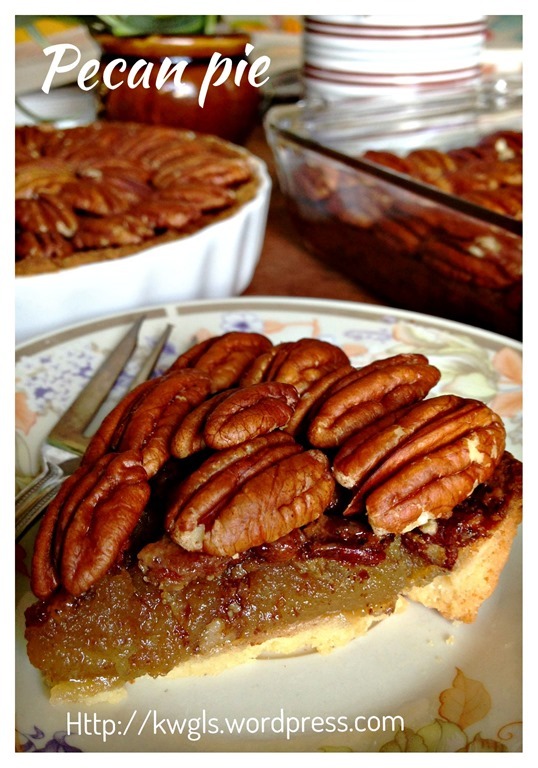 Instead of using corn syrup, the recipe uses brown sugar. 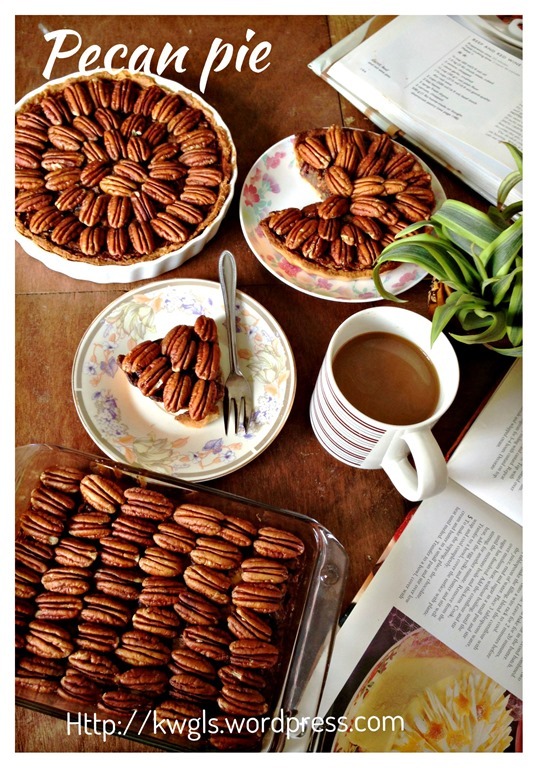 To be fair to readers who are not willing to invest in the purchased of pecan nuts, you can always substitute with walnut and the taste is equally awesome. 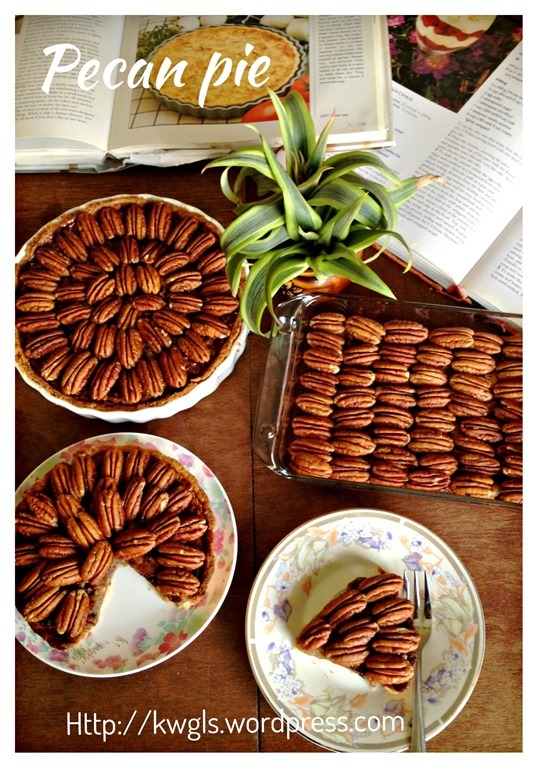 Additional pecans (or walnuts) for decoration if desired. 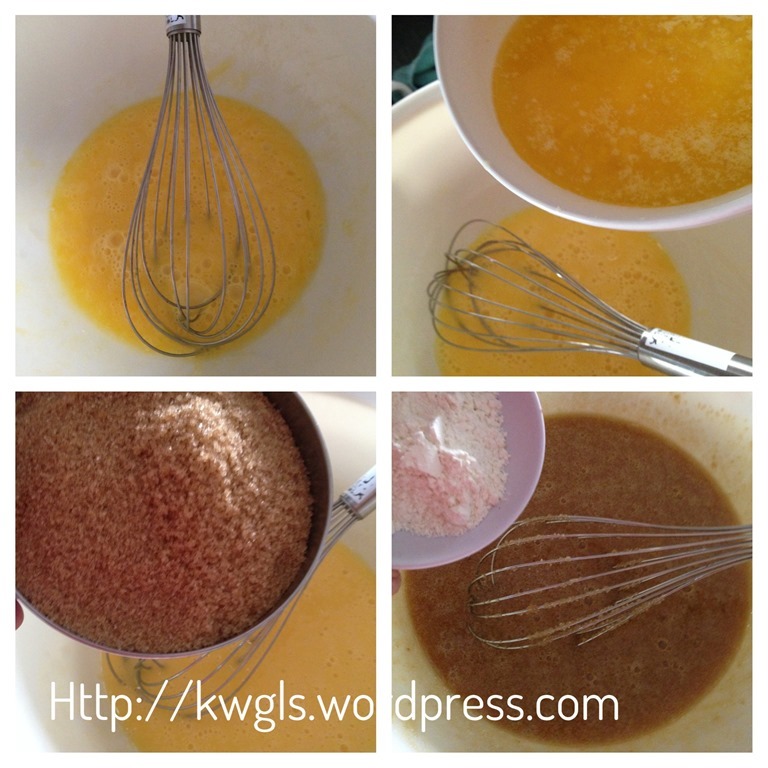 In a bowl, whisk the eggs until foamy. Add the melted butter, whisk until well combined. Add brown sugar and the plain flour. Stir until well mixed. 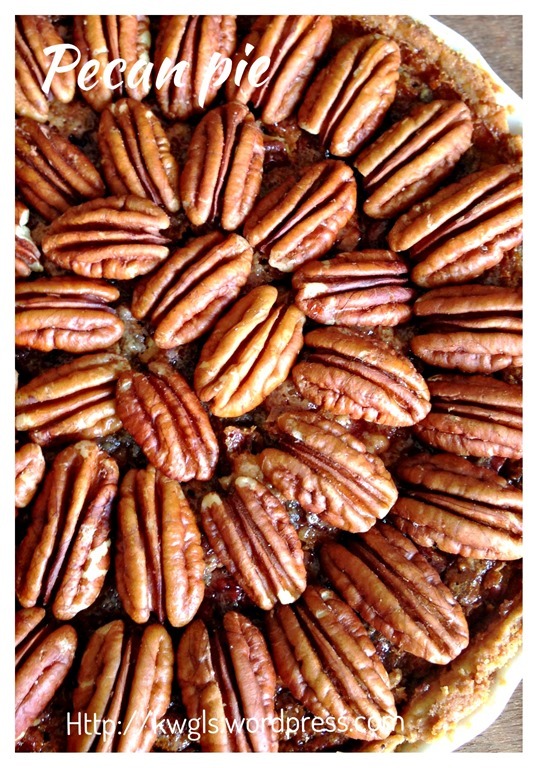 Add the fresh milk (and bourbon or whisky if you are using) followed by the chopped pecans or walnuts. Stir until well mixed. Transfer the pie fillings to the pie crust prepared earlier and baked in the pre-heated oven at 180 degrees for 45-50 minutes or until the fillings have set. 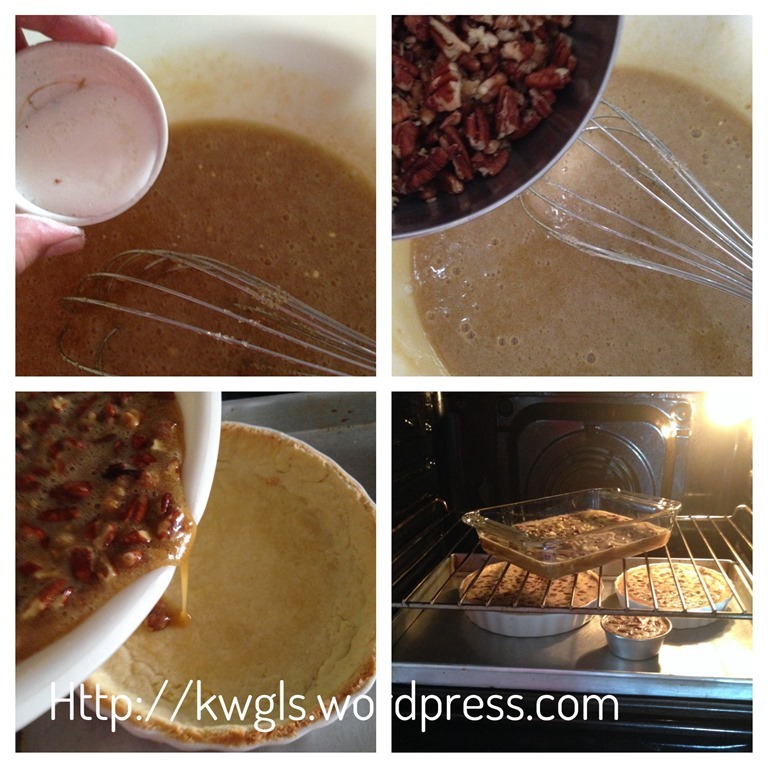 Set means that when the pie is shake, there is no signs of liquids in the pie crust. 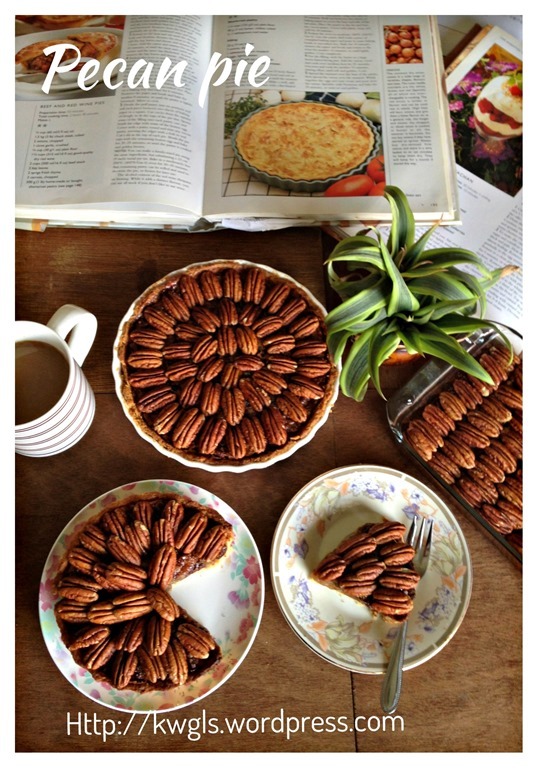 Note that in the process of baking, the pie will expand upwards . Don’t worry, when cooled, the pie will start to level itself. Once cooked, transfer out and let it cooled slightly. 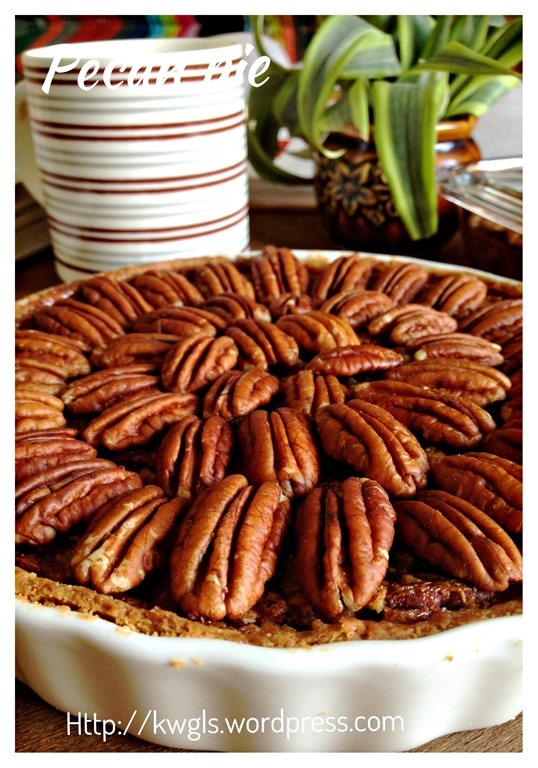 If further garnish is preferred, brush the top with some fruit jam and arrange the pecan pie on top of the pie. Best served warm or chilled with whipped cream or vanilla ice creams if desired. 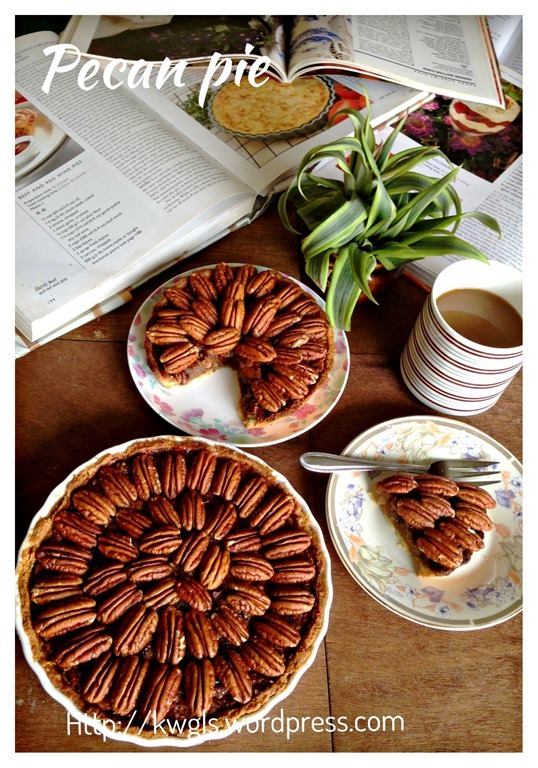 The pie is very addictive and is really a rich and sinful indulgence. Having said that, I am not willing to give up this delicious pie. I will continue to prepare this for important house guests. May be you want to give it a try too! 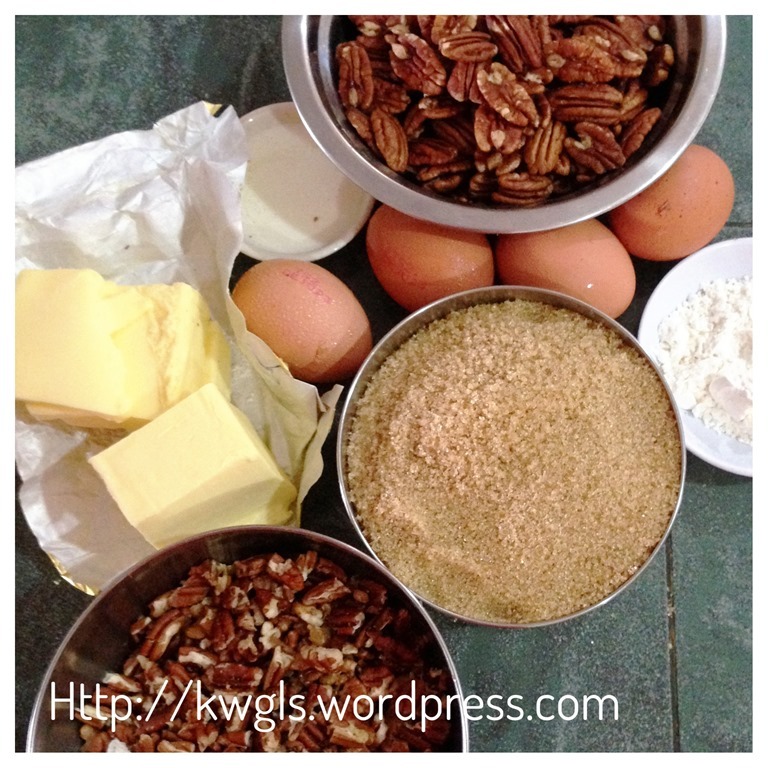 This entry was posted in Cakes and cookies, Desserts, Food Preparation Series and tagged 8, 胡桃派， Pecan pie, GUAI SHU SHU, Guaishushu, kenneth goh, Pecan Nuts, Pecan Pie singapore, postaday. Bookmark the permalink.